The 4K Video Tiler/Scaler Switcher with HDMI & Click-to-Show Me Controller from KanexPro is a seven-input, one HDMI output presentation scaler-switcher designed to upscale HDMI, DisplayPort, and VGA devices such as laptops, Blu-ray players, and desktops to a true 4K 30 Hz resolution. It allows you to create a quad-window experience in any collaboration space. Inputs include four HDMI, two DisplayPorts, and one VGA with HDMI output. 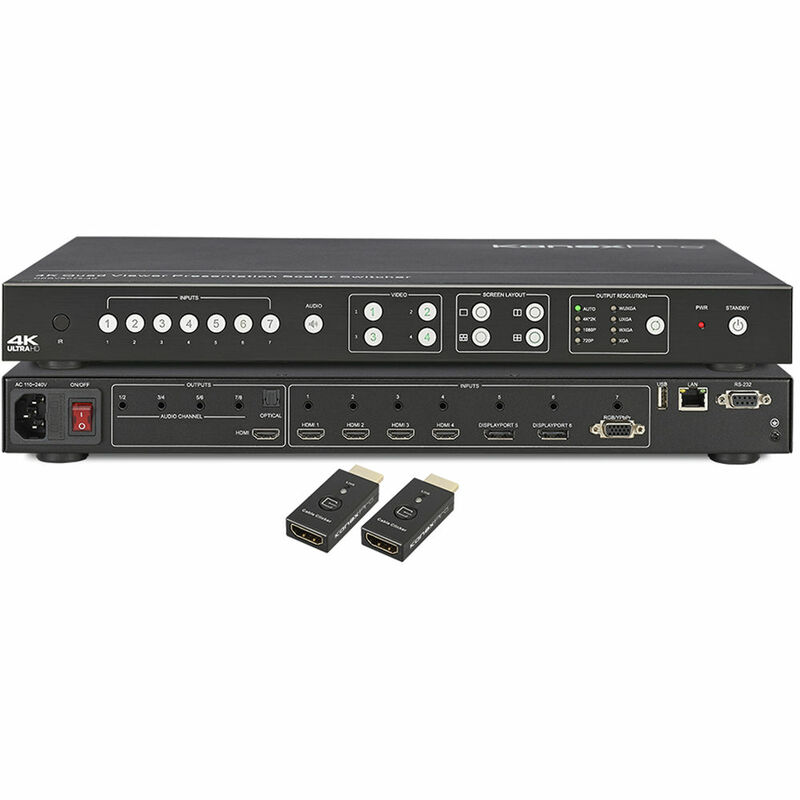 Compliant with the HDCP specifications, this quad-viewer can also be controlled via RS-232 and TCP/IP. It supports native 4K inputs and outputs with audio de-embedder and breakaway audio switching to support unbalanced stereo. It is suitable for use in collaboration, meeting rooms, classrooms, and videoconferencing applications.